The Pz.Kpfw. VI Ausf. B mit 10.5cm KwK L/68 (or just Tiger II (10.5 cm Kw.K)) is a Rank V German heavy tank with a battle rating of 7.0 (AB) and 6.7 (RB/SB). It was introduced in during the Closed Beta Test for Ground Forces before Update 1.41. Increasing Tiger II's main cannon to a whopping 10.5 cm cannon, the Tiger II boasts a much more powerful armament than any of the preceding Tiger II tanks. 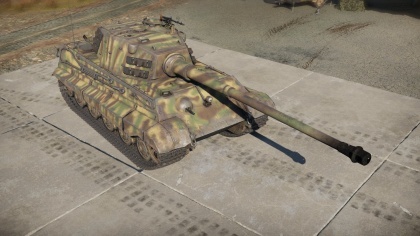 The armour on this variant is the same as on the regular Tiger II (H). The upper front plate provides excellent protection against any regular AP (APCBC, APHE etc.) shell you might face. The turret however is only 185 mm and easily penetrated by most enemies, but you can make it very difficult to hit by "wiggling" the turret left and right which will often result in bounces or non-pens. The lower glacis is a weakspot but the transmission right behind it often takes most of the shrapnel, it can catch fire pretty easily though, meaning researching FPE should be done as soon as possible. Some part of the turret side have track links on them, which gives an additional 30 mm of protection to the armor. The weak spot is the front of the turret (185 mm), but it is small and very difficult to hit at mid-long ranges, where it is also harder to penetrate. 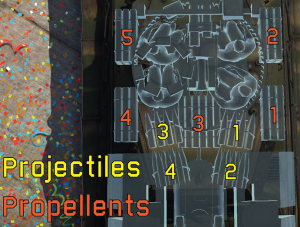 Machine gun port could be marked as close-range weak spot. Although most of it is still 150 mm thick, the angling is much worse. Ammo racks of the Tiger 105. This tank's best and almost only possible role so far is a sniper/support tank. Stay at distance, or your reload time and mobility will be the death of you. Use your mobility to reach sniping zones and wait for enemy tanks to show up. Keep your distance to maximize the effectiveness of your armor and use cover to reload without having to worry about being destroyed. Avoid close combat as much as possible since most of the other tanks at your battle rate can penetrate your armor very easily and your reload rate is 20 secs so if your shot doesn't penetrate you will be easily killed. Like with most German guns, the main gun is very accurate. With the high muzzle velocity, high armor penetration value, and high damage of the PzGr 39 shell, there's really no need to every load any other shell. With the explosive mass of the PzGr 39 shell being equivalent to 343 grams of TNT, penetrating shells are devastating. They deal arguably more damage than any of the Russian 122mm shells do. Expect a lot of one shots. 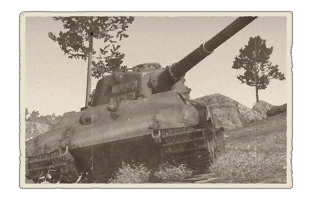 With the upgraded engine, transmission, and filters, the 10.5 Tiger II has nearly 300 (AB/ 200 in RB) more horsepower than a fully upgraded Tiger II H. This will make the 10.5 accelerate quicker and climb hills faster than any of the other Tiger II's. Including the Tiger II Sla 16. With the upgraded turret, the 10.5's turret traverse will be 20.5 degrees per second. This will help you defend against enemy medium or light tanks trying to execute a flanking maneuver. Upper front plate still borderlines on impenetrable. You'll only have to really worry about APDS and HEAT going through it. With the same lightly armored turret as the Tiger II H, expect nearly every enemy tank facing you to aim right for it. Even with an ACE crew, the main guns takes more than 15 seconds to reload. So close range brawls are not advised. Despite being quick and maneuverable for a heavy tank, it's still not a medium tank. So don't expect to out maneuver any medium you're likely to face. Gun is easily disabled, rendering the tank helpless. The Tiger II with its 8.8 cm KwK 43 cannon was one of the most formidable tank in World War II. Its 150 mm thick front armor plate sloped was never penetrated by an Allied tank throughout the war and its cannon could destroy any Allied tank fielded in the war. However, some German higher-ups believe that the armament on the Tiger II was just not enough, something more was needed. Ideas of rearming the Tiger II was brought up by Krupp in sometime in late 1944. 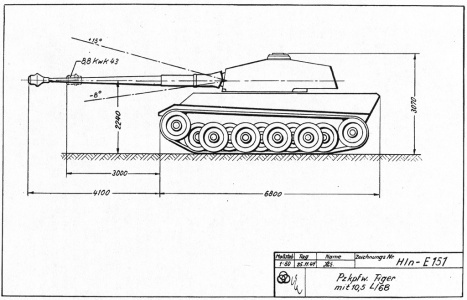 The concept drawing Krupp made was for the Tiger II to be rearmed with a 10.5 cm KwK L/68 cannon. This design would require new mountings and new mechanical parts to be optimized for the larger 10.5 cm gun. While the idea was indeed a very interesting one to up gun the Tiger II, it was never implemented because of its draw backs. The 10.5 gun uses a two-piece ammunition, which requires the presence of another loader. This is impossible because the turret is already cramped as is with three people inside, and the addition of another will make the interior a very miserable place to be in. Plus, the fact the gun's ammunition is two-piece already means that the drawback behind this upgrade is a much slower fire rate. This causes the concept to be rejected by German high command, and if it wasn't, it certainly ended with Germany's surrender in May 1945. No prototypes were made and its existence is only proven by a concept drawing. The Tiger II 10.5 cm Concept art from Krupp. This page was last edited on 15 March 2019, at 03:47.